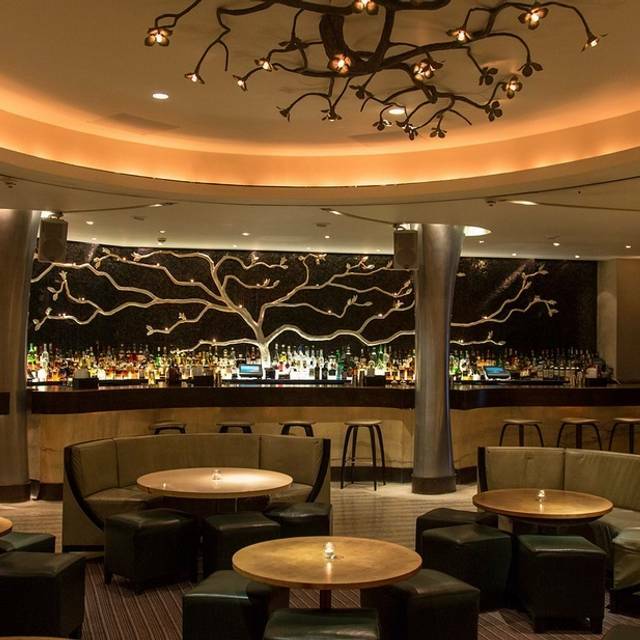 Nobu Berkeley ST houses a glamorous restaurant and stylish lounge bar. 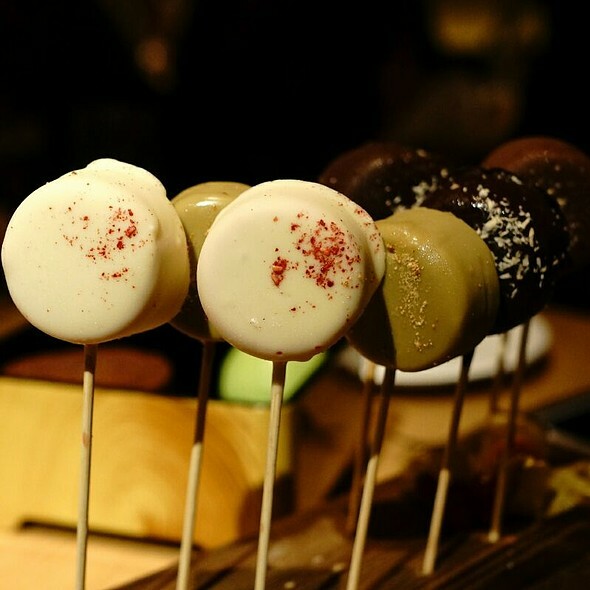 Nobu Matsuhisa and executive chef Mark Edwards have created a menu which includes Nobu's classic dishes as well as many new items; some of which are cooked in a Japanese wood-burning oven. First time here and had a great time - food was pricey but the experience was was worth it. The waiter was really kind and genuinely helpful and gave some great recommendations. The seating areas are too close to the table next to you along the side of the restaurant for my liking - for the money spent I like more intimacy - thankfully when I requested a table by the window they kindly obliged. They also kindly provided a happy birthday desert for my wife which was a nice touch, thank you Nobu. We will be back again! Fantastic food, experience and service! 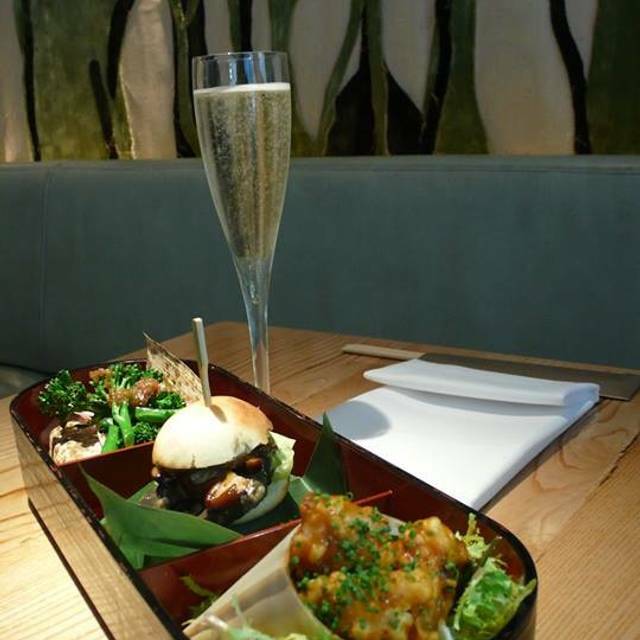 We'd not been to Nobu for a long time so felt that another visit was long overdue. We were really excited about sampling the black cod and we were no disappointed - it was superb. Service very attentive but not intruding. It was strange that there were few diners on the night we were there. I came here on the 9th for my 18th birthday with my boyfriend, the night was incredible and i’m so happy we chose nobu. However, some of the customers were very loud and it was clear many people were getting annoyed. Food was beautiful however expensive, but we ordered too much as it was actually very filling. For two people it could easily be under £120 for a very filling and 5 star quality meal, which really isn’t bad. I’ve already booked again for the 20th!! It really is a very different experience to other restaurants. We had a great anniversary dinner, we chose the tasting menu, one classic and one seasonal so we had 14 different courses. most of them were delicious. The soup was too simple comparing to other courses, I think they should change it to more interesting course, to keep the dinner delicious line. Thank you for a great experience. The food and atmosphere was great. A few of the staff came across a little rude. Our waiters kept changing throughout the evening rather than just stitching to one or two. I’ve been to the nobs a few times now and although it’s a little expensive it’s worth it for excellent tasty food and great service. Also the bar downstairs had a really good vibe about it. I’ll definitely be back soon. First time at Nobu, which I have been wanting to try for quite some time. Service was friendly and efficient. I loved the sushi I had as a starter. My main course of beef was slightly disappointing, not bad by any means just slightly bland (and probably had been left sitting for longer than it should have been as the meat was not very warm by the time it got to my table - the hot peppercorn sauce on the side compensated otherwise I would have sent it back). The apple crumble desert was also quite bland. Wine was excellent, if pricey (to be expected I suppose). The ambience and decor is nothing special, a bit tired actually, and the restaurant is quite noisy when full. Couples tables in particular are small and quite close together. Overall I was slightly disappointed, but not enough to entirely put me off going again - I perhaps just chose the wrong dishes. Fantastic as always. Ate at the sushi bar this time. If you get a chance, go early and try the sushi bar. Service is great and you get a new perspective of the restaurant. Not the quality you would espect. 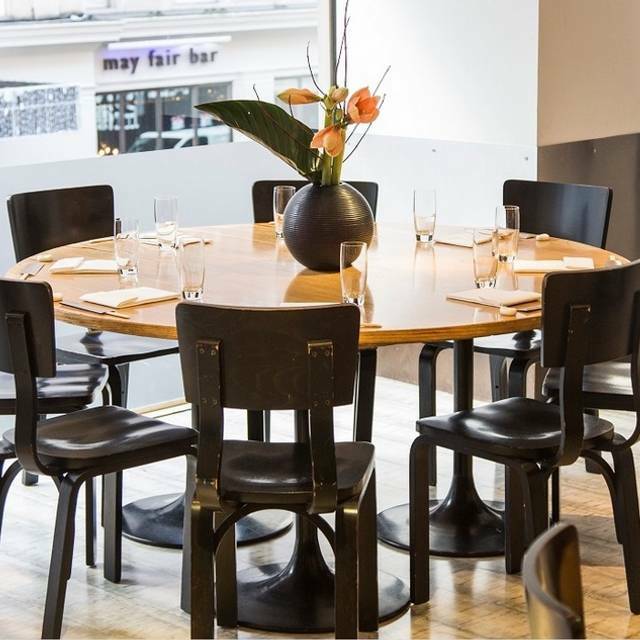 Ambiance, style and the food- Just nothing special. Staff is friendly. 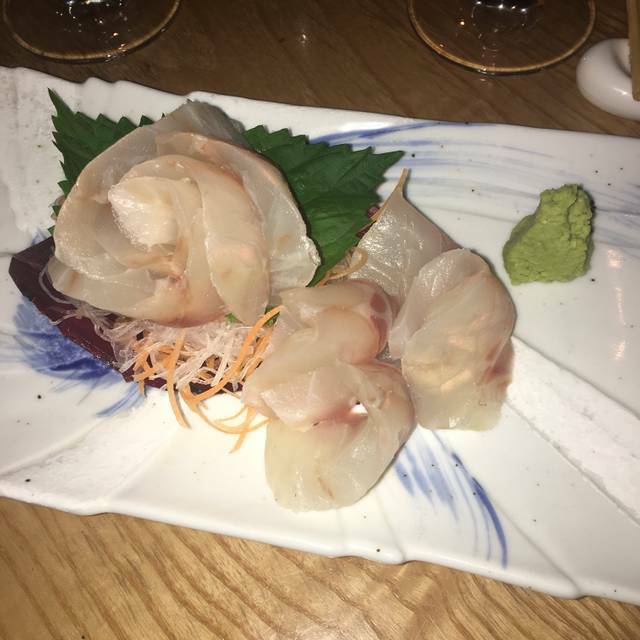 The kitchen got several of our orders wrong, sashimi instead of sushi and salmon instead of scallops, but they were extremely gracious and couldn’t do enough for us to make up for a simple mistake. Actually a much nicer ambience than Park Lane, save for the view. It’s a fortune, and you know that going in, but a really nice treat. Over priced rubbish food, with no love in the restaurant!!! Everything about the place was brilliant all round. Nobu was highly over priced for some chicken and noodles. 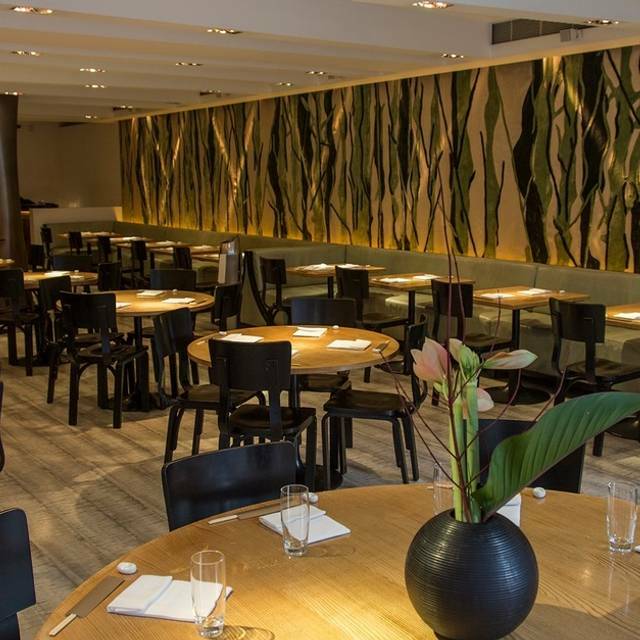 Having been to the Nobu Nee York, Nobu Berkeley street had absolutely no ambience at all. 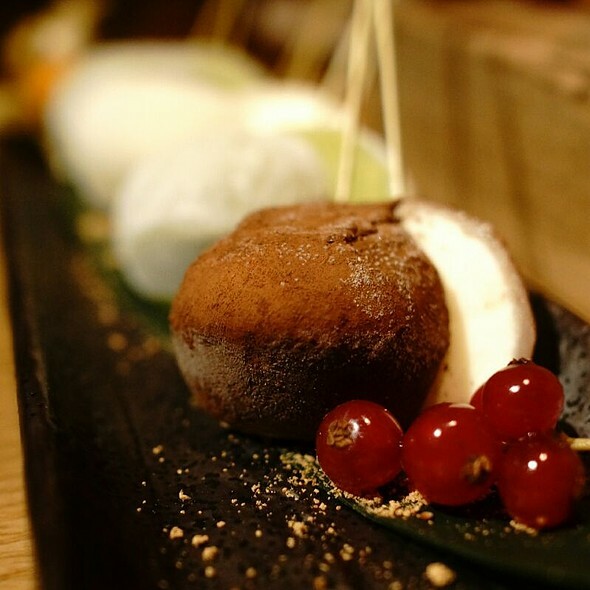 After all these years and many imitators, Nobu still delivers a stand-out dining experience. The Chilean sea-bass with miso remains a stunning dish, simple yet supremely flavourful. Yellowtail sashimi and soft-shell crab tempura with jalapeno also delighted. One of us is gluten-intolerant and the waiter was exceptional in dealing with this. No it's not cheap. But it is most definitely memorable. Food is good, lots to choose from. Yes on the pricey side but its Mayfair, so expected. It can be quite noisy in there but that's because it's so busy, I'd rather have busy than awkward silence and a quiet restaurant where food isn't been prepared constantly. 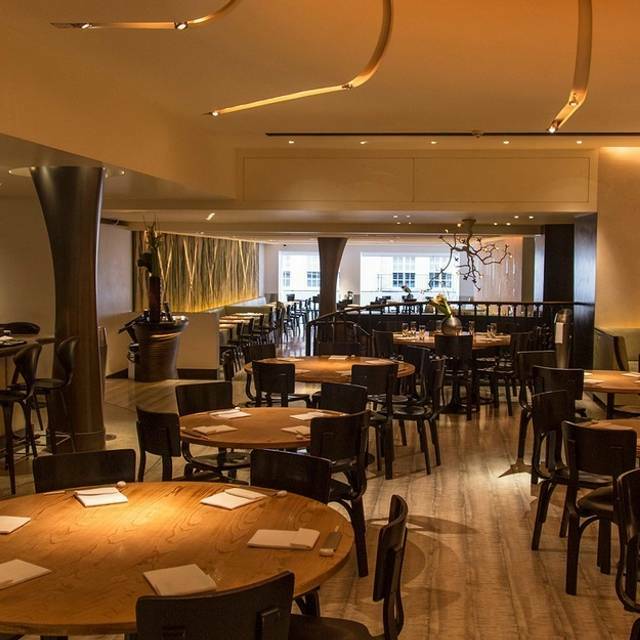 I regularly visit Nobu and have never had any complaints previously however on this occasion the service couldn’t have been worse. I called up during the day to change my booking to a slightly earlier time and was told this had all been done, on arrival I was told in a rude manner that it hadn’t been changed as if it was my fault your staff didn’t do their job. The staff made no effort to apologise or try to find us a table instead insisting we either go away and come back or get a drink in the bar. The waiting service didn’t improve things on one occasion I had to ask 5 times to get one drink. Despite how good the food is next time I will be taking clients to a different restaurant where the service is better as I can’t tollerate being treated that way. Horribel music played at a high level in an already very high sound level. Stressful ambiance, narrow seating and huge pricing is unfortunately talking away the focus from the good food. Mixing bar and fine dining is not optimal. Regularly go to this restaurant, always very nice, thank you. Compared to last time i had dinner here, i found the service not so great . 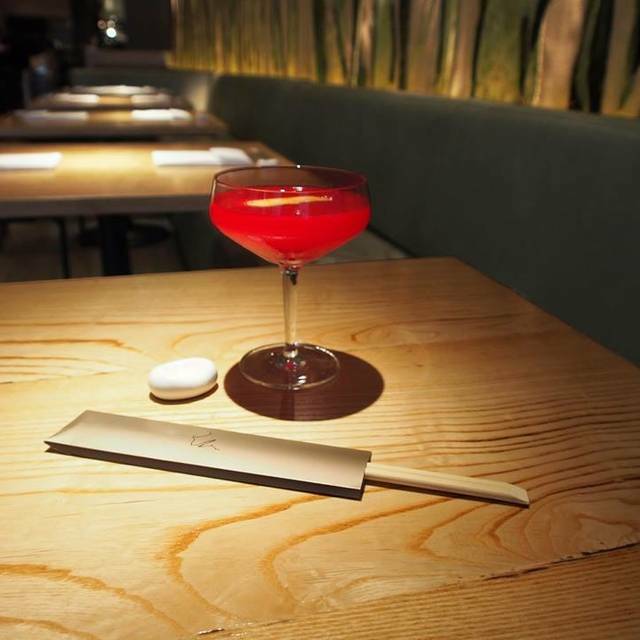 Surely better in Nobu Shoreditch. Once in a lifetime! Excellent food, incredibly over-priced. Nice food.. and good quality products. Amateurish service.. example would be that we must have told 3 separate waiters that our table didn’t want water. 4th waiter to visit our table brings water. Zero communication. Not worth the £700.00 bill. Worse ever service by the staff food was average but I’d never go there again! Poor service. Dismissive attitude. Very pretentious. Standard Mayfair. Excellent food, excellent service and ambiance. Show great customer service, something that I relish when it comes to fine dining!!!! On the whole it was a positive experience. The biggest negative was being asked if we wished to have pudding whilst we were eating our main course. The other negative was that the apple crumble was poor and had no flavour. Great food , so well made! Amazing atmosphere and service !